If there is a job, Hound will sniff it! American marketing was always a bit specific. In some cases it just does not ‘cross the water’ well, and sounds a bit off on our shores here. 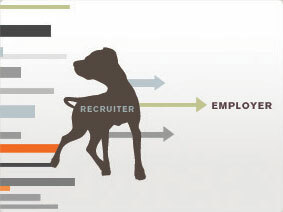 In recruitment the example is the job site Hound.com. It is a Employers Only model job site, like Ireland has its own RealJobs.ie. It’s marketing is very original and different from the usual jobs sites. On Hound everything is about the hounds and the front page is full of dogs images. 13 dogs will welcome you on the Hound home page. Quite impressive for the jobs site, isn’t it? Meaning: If there is a job, Hound will sniff it! Posted on April 3, 2009 April 3, 2009 Categories Career, Internet, RecruitmentTags accountant jobs, accounting jobs, administrative assistant jobs, administrative jobs, advertising jobs, analyst jobs, art jobs, attorney jobs, automotive jobs, banking jobs, bookkeeper jobs, business analyst jobs, buyer jobs, call center jobs, Career, careers, clerical jobs, consultant jobs, customer service jobs, director jobs, employment, employment opportunities, entry level jobs, environmental jobs, executive jobs, facilities jobs, federal jobs, finance jobs, financial jobs, find a job, find job, find jobs, government jobs, health care jobs, healthcare jobs, hospitality jobs, hr jobs, human resources jobs, insurance jobs, job, job listings, job online, job opening, job openings, job opportunities, job postings, Job Search, Job Site, job sites, job vacancies, job work, Jobs, jobs com, jobs it, jobs nursing, legal jobs, maintenance jobs, manager jobs, manufacturing jobs, medical assistant jobs, medical job, mortgage jobs, online jobs, operations jobs, overseas jobs, pa jobs, paralegal jobs, part time job, part time jobs, project manager jobs, receptionist jobs, retail jobs, sales careers, sales jobs, secretary jobs, social work jobs, summer jobs, technical jobs, technician jobs, temporary jobs1 Comment on If there is a job, Hound will sniff it! 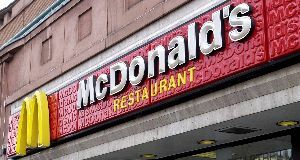 Jobs in a new McDonald’s branch in Ennis have attracted applications from unemployed bankers, architects and accountants. There were 500 applications for jobs in the new branch in 10 days. The jobs were advertised solely on a banner at the site which was taken down after 10 days because franchisee Kieran McDermott had received so many CVs. He said the situation was the direct opposite in 2002, when he opened a branch in Shannon. Employees were difficult to find then, as Ireland was at the height of the boom with very low levels of unemployment. Any SEO Consultant will tell you that a decent SEO project should somewhere in its starting phase have a step called Keyword Analysis. Unfortunately different people have a quite different idea what exactly does the Keyword Analysis mean. Some mean that it is about finding the most relevant keywords, some that it is about the number or keywords, and the rest arte somewhere in between. Google has a quite easy to use Keyword Suggestion Tool. Here are the keywords that Google will ‘suggest’ as a similar and relevant search keywords to the term ‘Jobs’. I’ll leave up to you to draw your own conclusions about the suggested keywords. 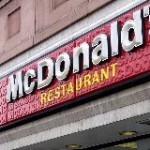 Are those really relevant? Too many? Too few? This second list is actually very interesting. What one can do is take any of those and ask the Google Keyword Tool for the Related Keywords suggestions again. By doing so the keyword list expands indefinitely.